Join Bloomberg Government legislative analysts for an “Asked and Answered” webinar that will give a brief overview of the congressional state of play at the halfway point of the fiscal year. The analysts will also answer audience questions on issues, items left this Congress, and how the rest of the year could play out. 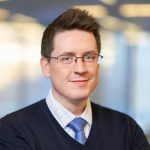 Adam M. Taylor hosts the podcast "Suspending the Rules" and is a legislative analyst with Bloomberg Government. He covers technology and communications, energy and environment, immigration, and judicary issues before Congress. 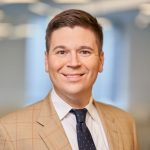 Prior to joining BGOV in 2015, he was in-house federal regulatory counsel for a communications company, and an associate in the regulatory group at an international law firm. Adam has a J.D. from Georgetown Law and a bachelor's degree in history and political science from Purdue University. Adam Schank leads Bloomberg Government's legislative analyst team. 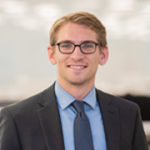 He joined BGOV in 2013 to cover health care and environmental policy after three years as an analyst for Congressional Quarterly's House Action Reports, where he covered those issues, as well as the federal budget process, appropriations, and energy development. He also analyzed federal regulations related to pollution control and utilities for CQ Legal. Schank has a bachelor's degree in political science from the University of Minnesota and a master's degree from the University of Minnesota - Duluth. Michaela Ross covers the U.S. Department of Homeland Security for Bloomberg Government. Previously, Ross covered tech and telecom policy for Bloomberg Law. She completed her B.A. at Carthage College and a master's in journalism at the City University of New York. 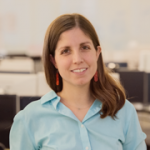 Danielle Parnass is deputy team lead for legislative analysis at Bloomberg Government and covers health, education, and agriculture. She also cohosts BGOV's "Suspending the Rules" podcast. 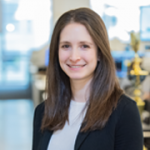 Danielle previously worked at the House Financial Services Committee, Senate Finance Committee, and Congressional Budget Office doing communications, research, and analysis. She has a masters in public policy from Georgetown University and her bachelor's in journalism and government from the University of Maryland. Jack Fitzpatrick covers the budget and appropriations process in Congress. He interviews lawmakers and staffers on Capitol Hill, focusing on the fiscal side of all policy areas. He has appeared on C-SPAN, MSNBC.com, Bloomberg TV and Bloomberg Radio, among others. Before coming to Bloomberg Government, he covered energy policy for Morning Consult and congressional campaigns for National Journal. He has a bachelor’s in journalism and a master’s in mass communication from Arizona State University’s Walter Cronkite School. Sarah writes analysis of tax and infrastructure legislation, as well as trade policy. She's been with Bloomberg Government since 2016. Previously, she researched the fiscal and economic health of state governments, as well as federal fiscal policy, at the Pew Charitable Trusts. 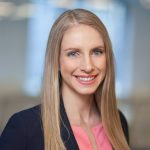 Sarah has a master's degree in Government from Georgetown University and a bachelor's degree in international development from McGill University.